Fierce. Audacious. Independent. Curtis Ash can't be bothered to settle down. He's too busy enjoying his cushy job as a high-paid stylist, caught in a whirlwind of hookups, parties, and obscenely priced cocktails. The only snarl in an otherwise charmed life is the salon's hotshot colorist, Red Turner. Not only does Red put the whammy on customers and rake in all the big tips, he's oblivious to Crash's flirtation. But there will be plenty of time to win him over - or so Crash thinks. Thanks to his refusal to trust his gut, Crash not only tanks his career - he allows the one man who truly holds his interest to slip away. While he insists he doesn't need a relationship to complete him, would sharing his life with someone really be so bad? Skin After Skin is a sweeping saga that begins two years before Among the Living and ends just after Spook Squad. Experience PsyCop like you've never seen it before, through Crash's eyes. Discover new facets of characters and events from the span of the entire series and beyond, all from the viewpoint of an extroverted empath. 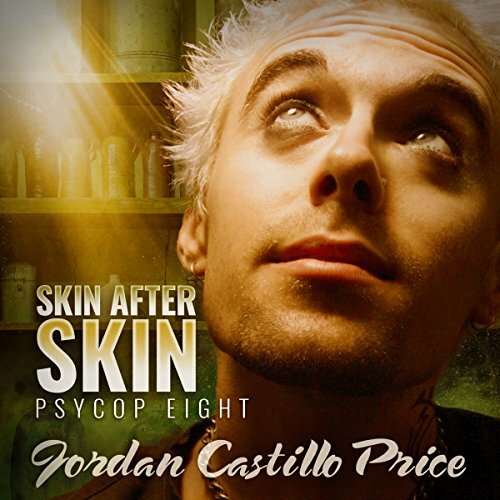 Would you consider the audio edition of Skin After Skin to be better than the print version? Yes. 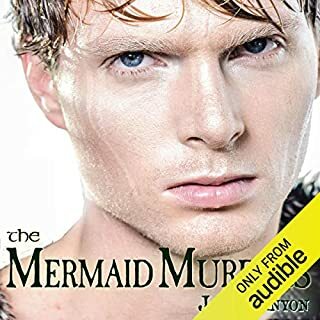 Gomez Pugh is just an amazing narrator. The story was really a character exploration of Crash. I loved that the story didn't revolve around his romances, but an exploration of who he was as a person. Victor will always be my favorite in every book. I laughed and cried at some parts. The book definitely hit me on a deep, emotional level. Crash was always my least favorite character, so I was hesitant to purchase this book. But let me tell you, this book changed the way I saw him and a few of the other characters. I almost wish that I had read this book before the others so that I had a better understanding of Crash's personality and why he acted the way that he did. This series is in my top 10!! 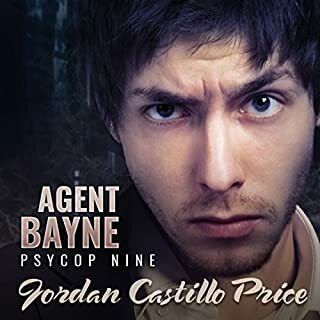 I've enjoyed the Psycop series, and this book in particular. So much that I had to relisten to all 8+ over again. It's always so sad when it comes to an end. I can't wait for book 9!! This book covers before, during &amp; after the other books in the Psycop series. It answers many questions &amp; ties things together nicely. It's awesome how tightly this book fits into the series. So many details expanded on. How JCP put it all together is beyond me!! Well you had to know Crash’s story wasn’t gonna be easy. Crash is definitely a character with hidden depths and it’s wonderful to finally get to see below the surface. I found it fascinating to see all those events we’ve seen him involved in, through his eyes this time. I admit I waited til this was out in audio before exploring it because I knew Gomez would do such an amazing job with it and he did. He has such a wide range of characters and he puts them all to use in the many and varied people in Crash’s life. Things that surprised me: the evolution of Crash’s talent, his relationship with Jacob as well as his crush on Vic. I was also surprised by his knowledge of other characters that will remain unspoiled! I was super psyched, however, the most, to see Crash’s happy ending. If ever anyone deserved it – he sure earned it! Excellent performance. I love the narrator and he did a great job with crash's story. Awesome addition to one of my favorite series! 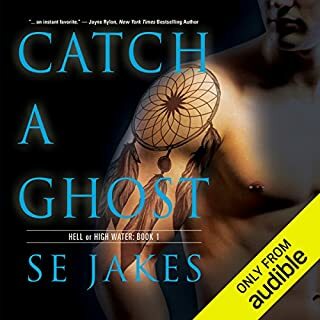 This is the first audio book I've ever finished. Loved the story and the narration, and will probably be listening to more. I downloaded this the second it was released, but thought, “Crash? Really? I want more Victor.” And it took a while for me to start listening. That was stupid of me. Once I started, I couldn’t turn it off. Jordan brought Crash (formerly a fairly one dimensional character) to blazing life. Excellent! And, as always, Gomez Pugh’s narration was spot-on. This book genuinely shocked me. I’ve never been a big fan of Crash, but this book took him (as well as several other supporting characters) and majorly fleshed him out. I have a totally newfound respect for Crash, and am glad that I didn’t skip over this book like I’d considered doing. 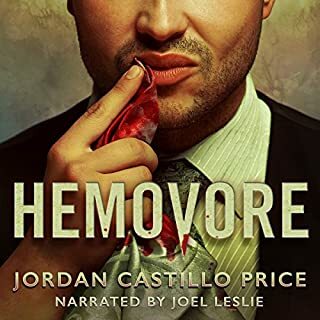 I generally eat up every single audio book Jordan Castillo Price releases, especially when partnered with Gomez Pugh, but god, this was one hell of a struggle. I'm not a fan of Crash as a character, I can take or leave him, but I thought that maybe I could get some insights and get my fix of Vic and Jacob in this story somewhere, but what I found didn't satisfy me at all. The first 35k - that's nearly 4 hrs of audio- could have been cut. I had ZERO interest in the comings and goings at the salon Crash worked at. It all seemed completely irrelevant and pointless. And where was the plot? What we have here are some of the events we have covered in the Psycop books, yet from Crash's perspective. It just did not work for me and I actually got really bored, even though Gomez Pugh's narration was solid, the content became interminable at times. This 'Red' character that Crash was so nuts about was like a cardboard cut out with no personality. I was not convinced at all. Sadly, I just didn't feel any feels with this book. Jordan and Gomez-a winning combination as always! What did you like most about Skin After Skin? I loved how we got to see all the familiar characters we know and love, as well as important moments in the PsyCop series, seen from a new perspective. I liked that we got to see more about Crash: his past, his family, his views and feelings on life and his personal journey of love, loss and growth as an individual. He's always been one of my favourite supporting characters and I'm glad that in this story, he gets his time to step out from the background and shine. There are too many to pick just one. Some I loved because they made me laugh out loud (in public) and others for the way they tugged at my heartstrings. Most definitely. In fact, I lost a much needed night of sleep just so I could hear the end of the story. I couldn't wait until the next morning ;-)! 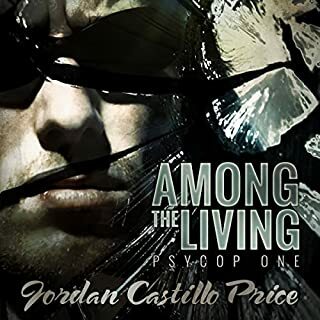 From the first chapter, I was able to easily fall back into the PsyCop world with Jordan's descriptive worldbuilding and unique humour. Also, Gomez's narration brings the story to life in a way that pulls you into the drama and emotion just as good as, if not further than, your imagination can take you. Every character has a distinct voice so that you never get confused about who's talking and even though every chapter wasn't action packed, I always wanted to know what happened next. I regularly listen to the PsyCop stories back to back and I'm so glad I get to add this one to the line-up. I'm eagerly and impatiently looking forward to more! I absolutely loved Crash's story. Brilliantly interwoven with the other PsyCop books it gives a whole new perspective on events. Crash is a great character so complex and quite a challenging life. I can't praise Gomez Pugh's narration high enough. The voice he uses for Red is dreamy, I could listen to it for ages.